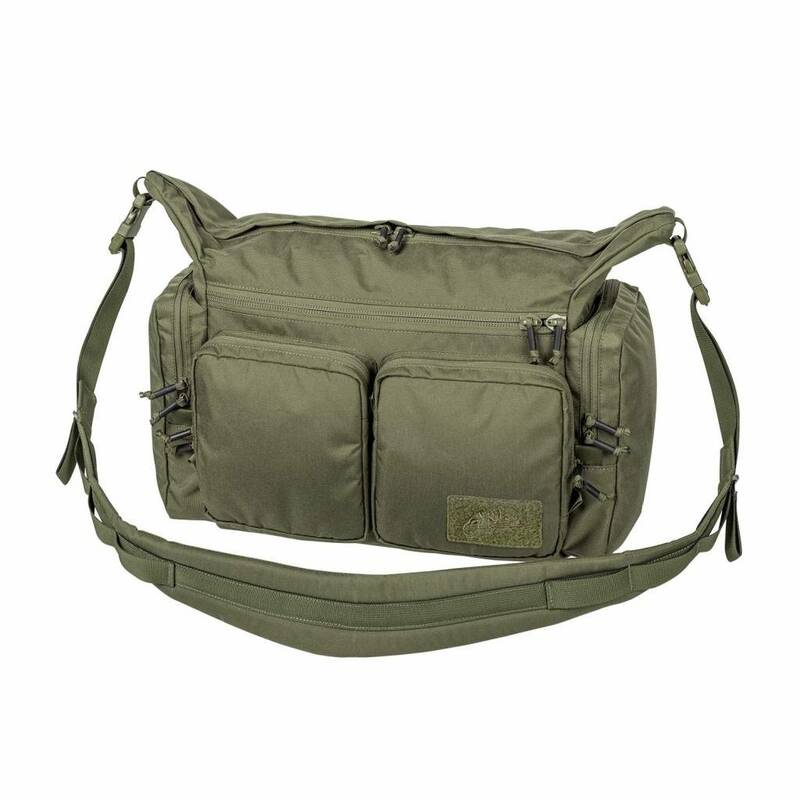 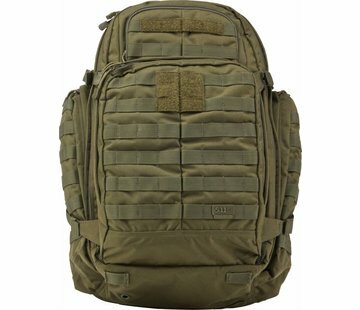 Helikon Wombat MK2 Shoulder Bag (Olive Green). 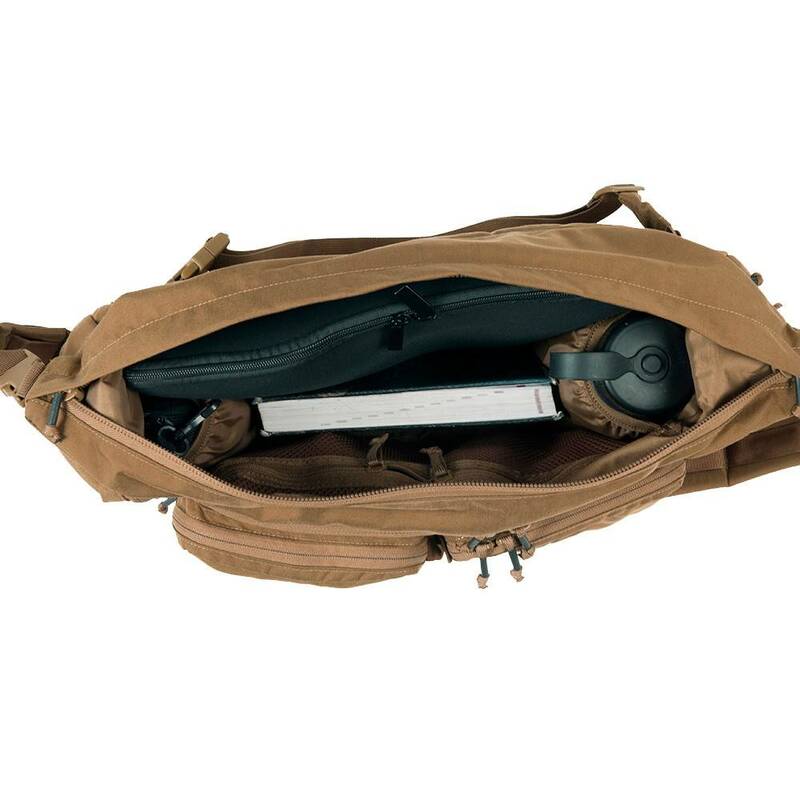 Wombat Mk2® is a light bag designed to pack much stuff into it – it would be an ideal kit bag, car duffel or range bag. 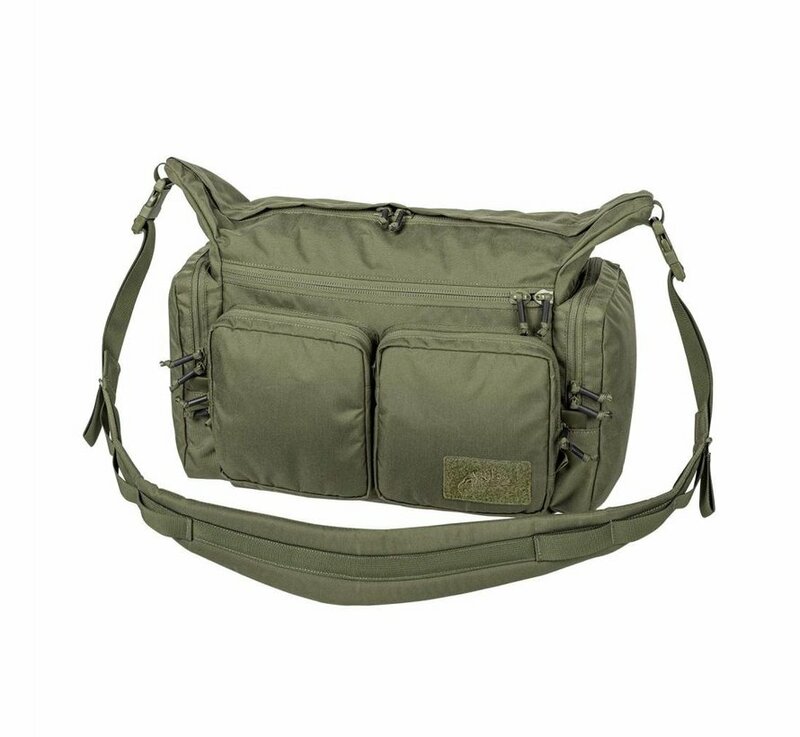 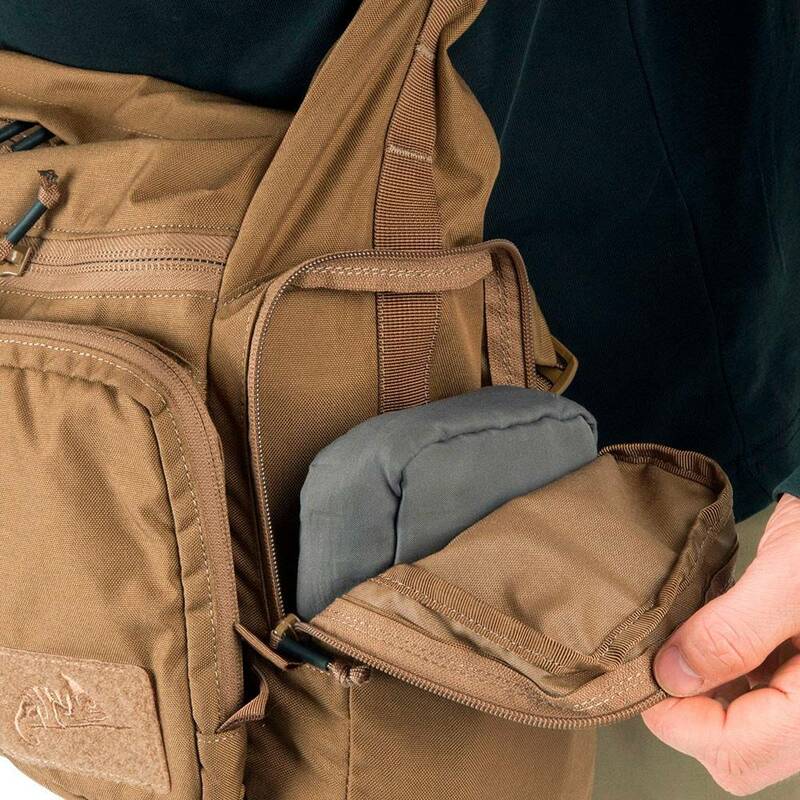 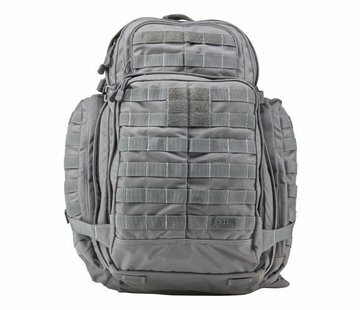 Durable fabrics and carry strap allow to carry in comfort – even if stuffed with heavy kit. 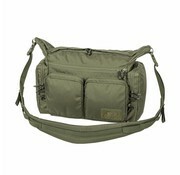 The design allows quick access to the contents and makes stuffing things a breeze. 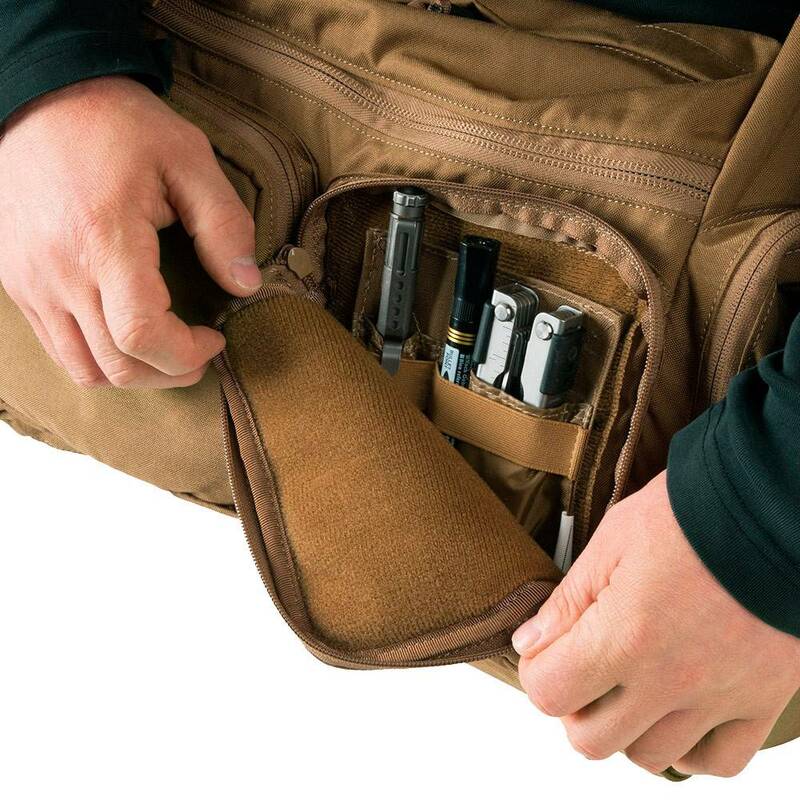 Featured solutions allow individual compartmentalization of the interior. 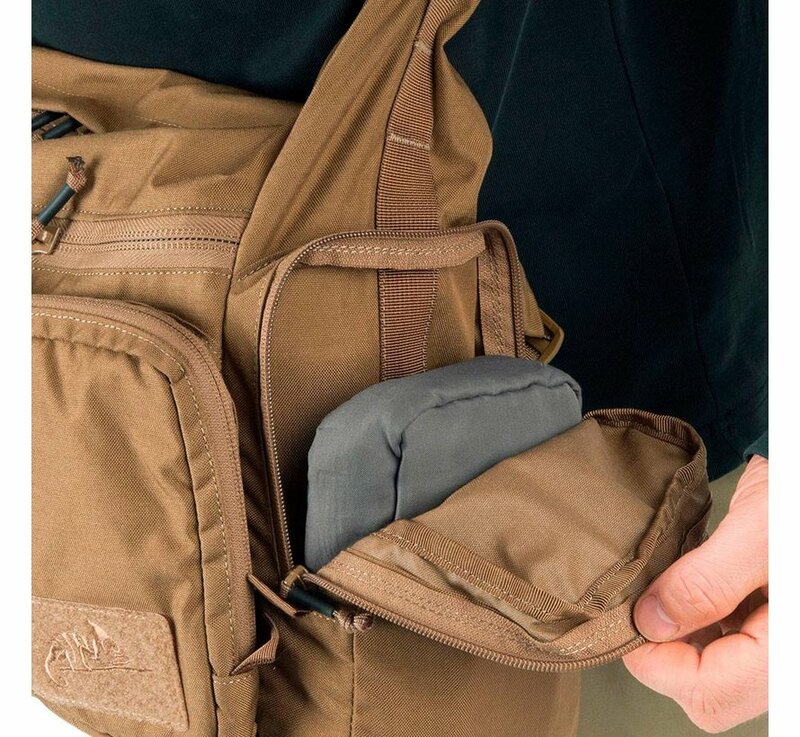 There are four external zippered pockets. 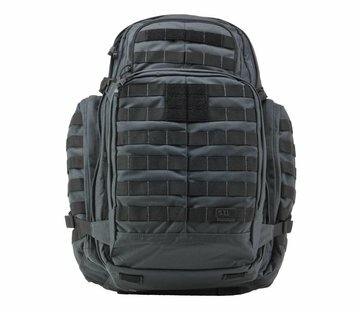 Two front ones are lined with loop velcro. 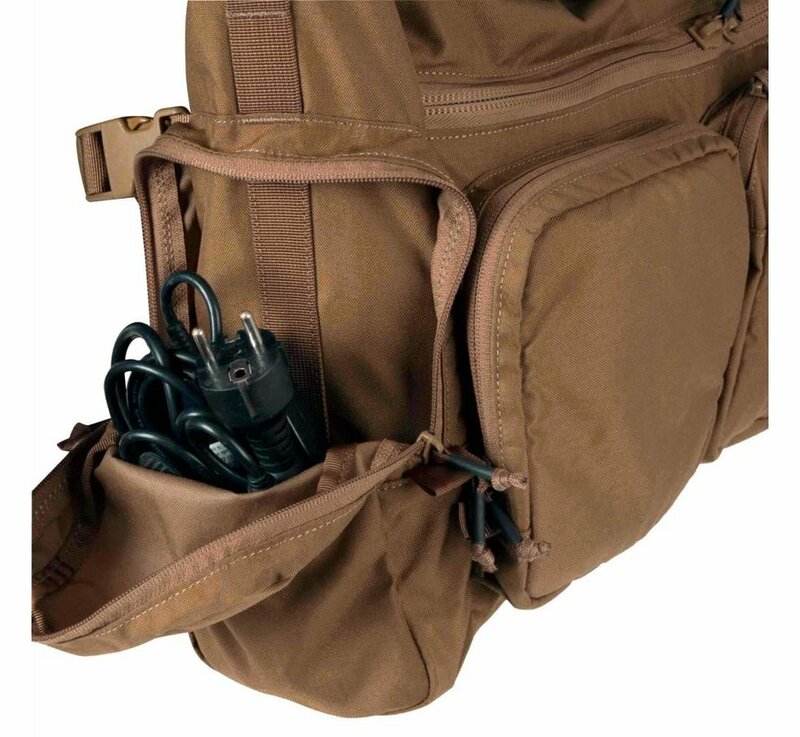 Front of the bag also has an inset pocket with velcro panel. 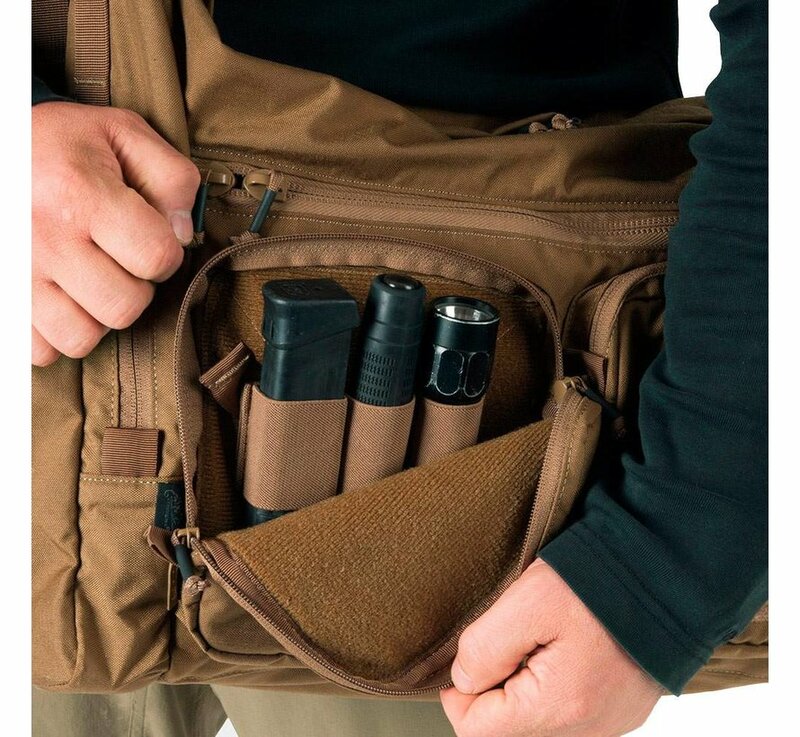 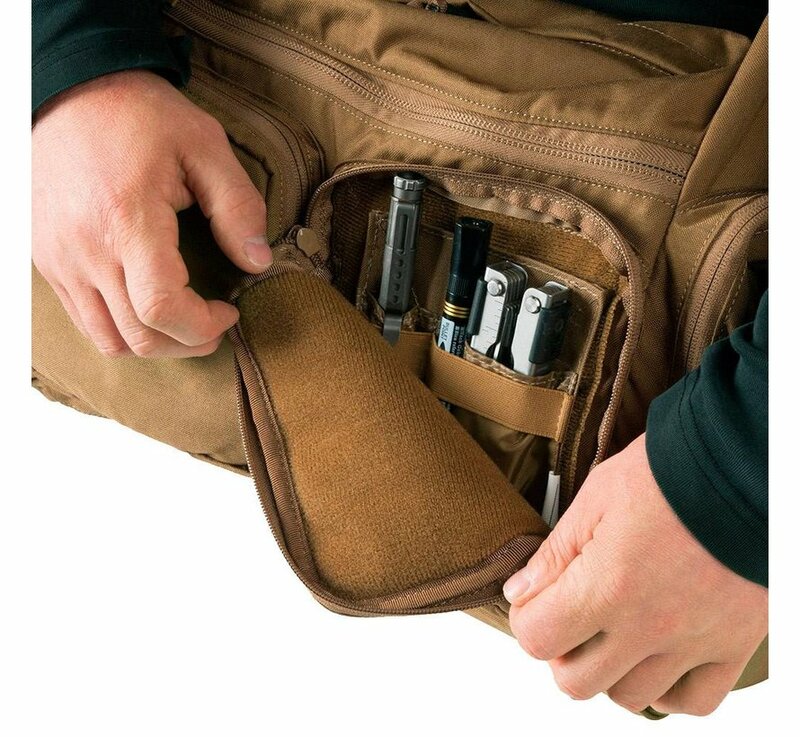 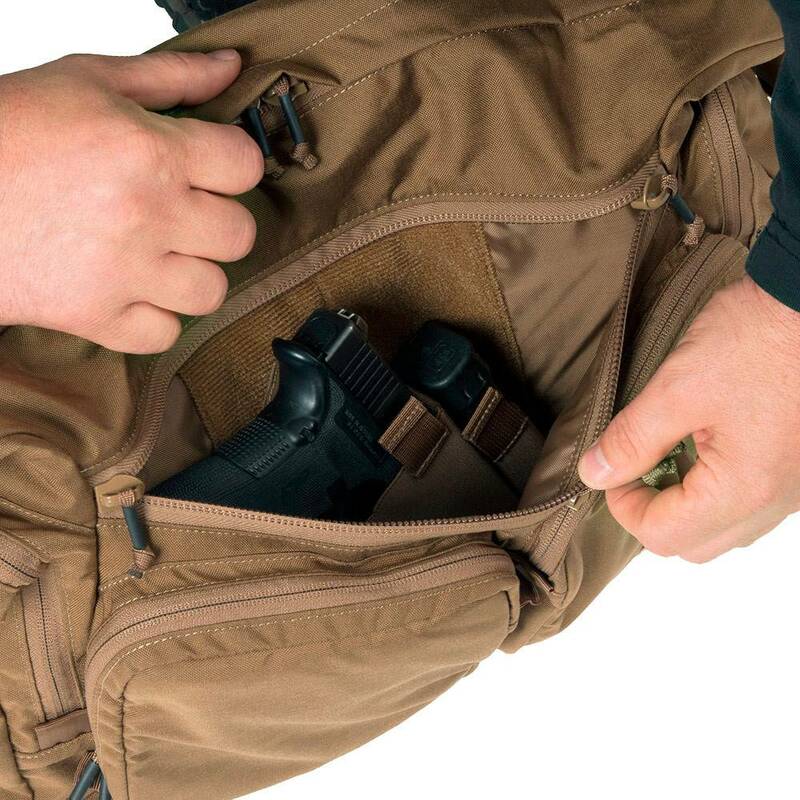 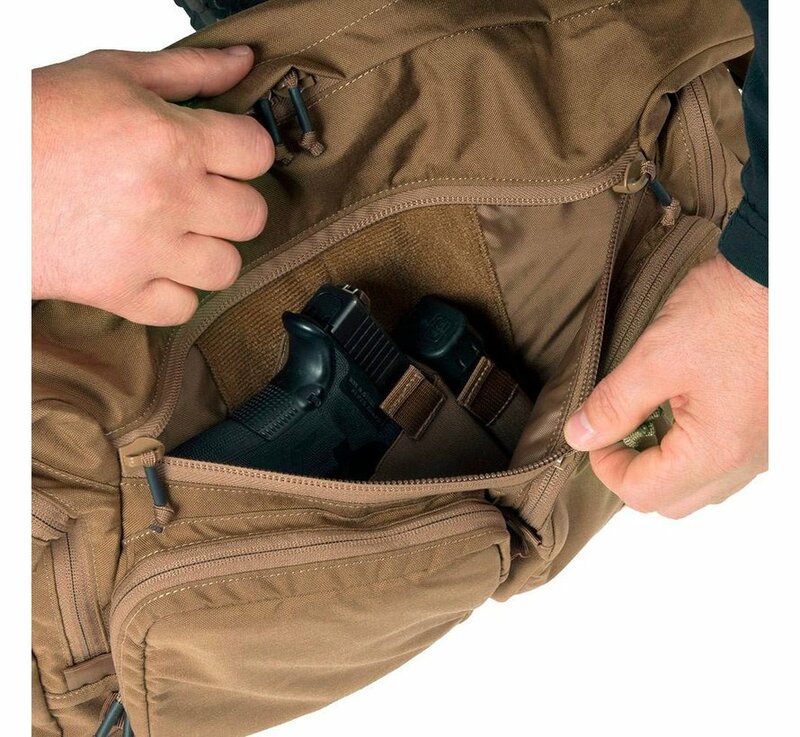 The main chamber has two zippered internal mesh pockets, two pockets with elastic band closure and large velcro panel to attach any of the Versatile Insert System-compatible inserts from our catalog. 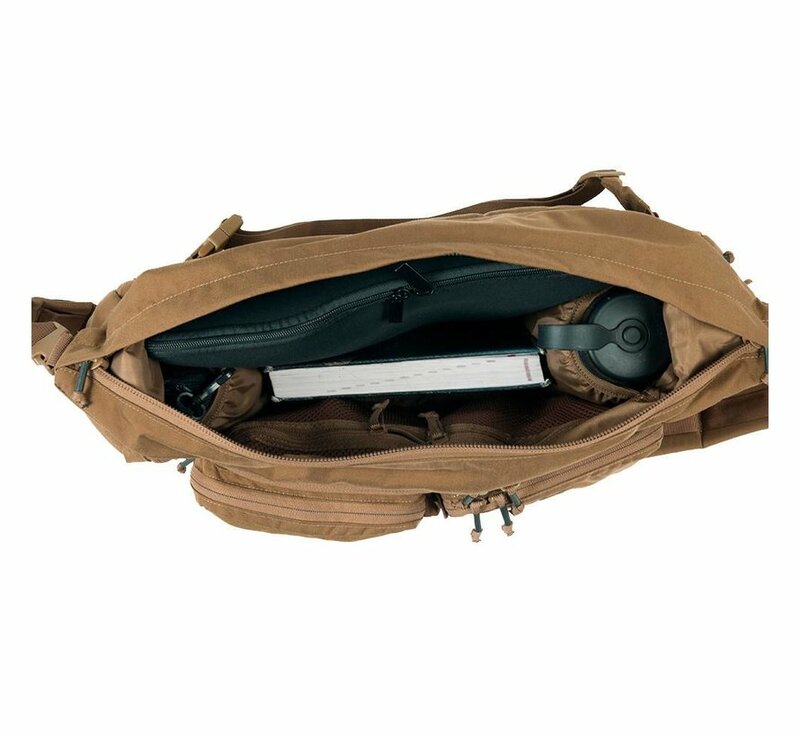 Universal Carrying Strap®serves as the carrying strap. 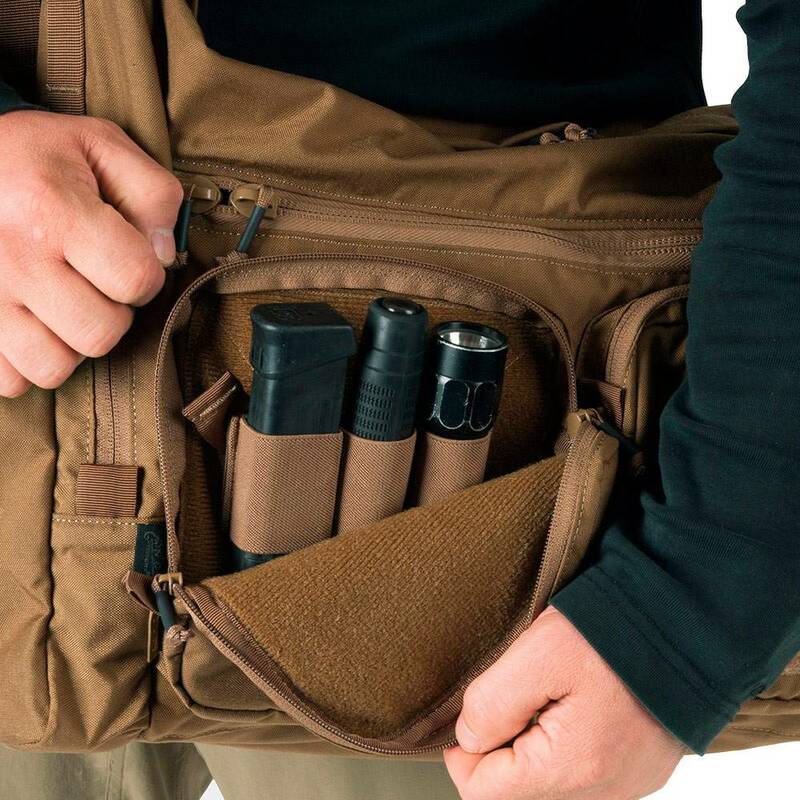 Several PALS loops allows to attach additional pouches or lanyards to the strap. 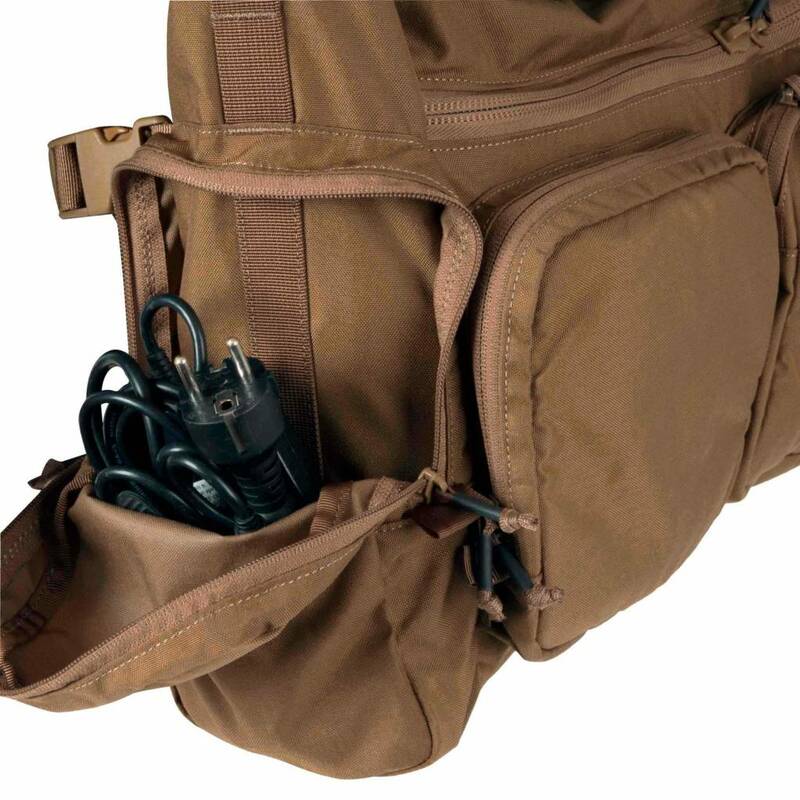 The buckles allow using the same strap to carry some other bags from our catalog.